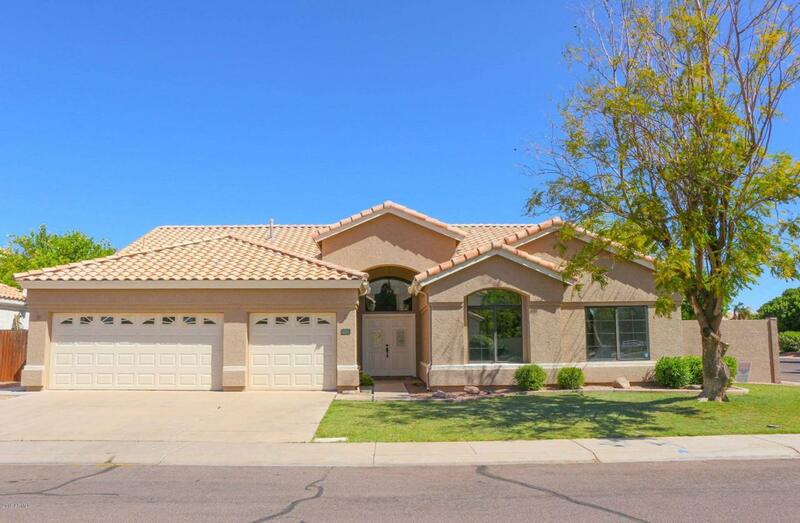 The only Water front single story home in Val Vista Lakes can be yours! 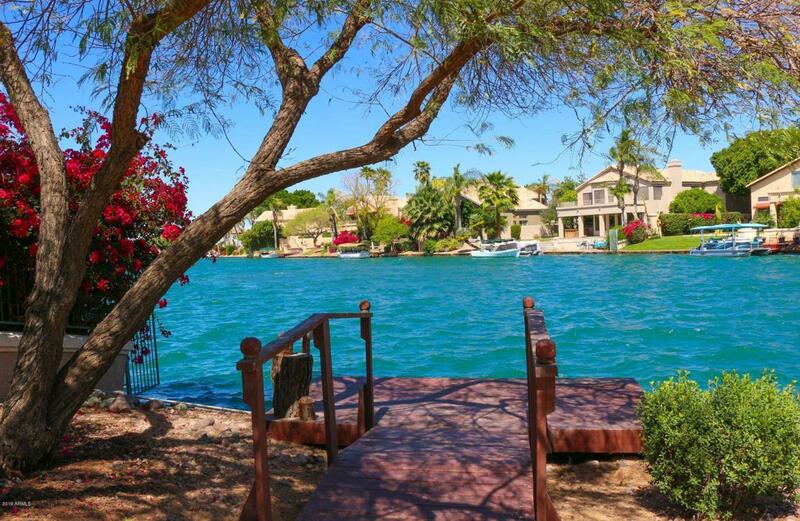 Private Dock with Lake Views and Privacy in your grassy yard with two covered patios. 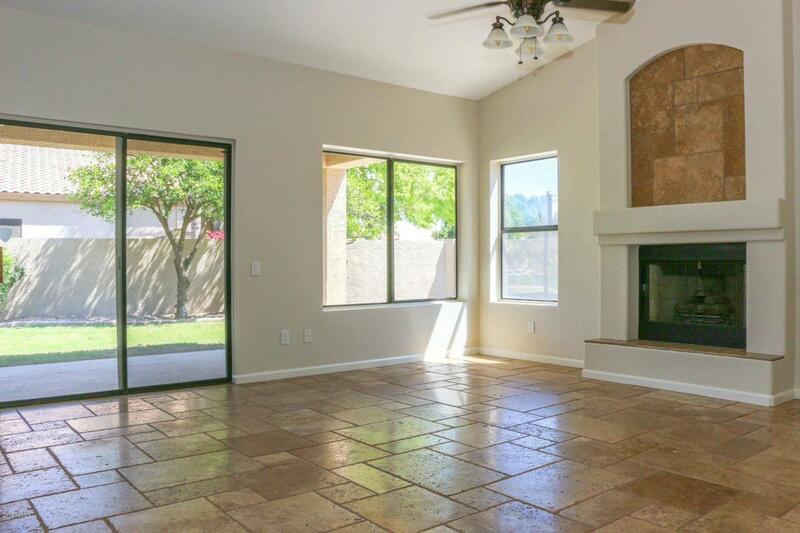 This updated beauty has new paint throughout, rustic Travertine tile floors in the Versailles pattern, 3 bedrooms Plus an Office. 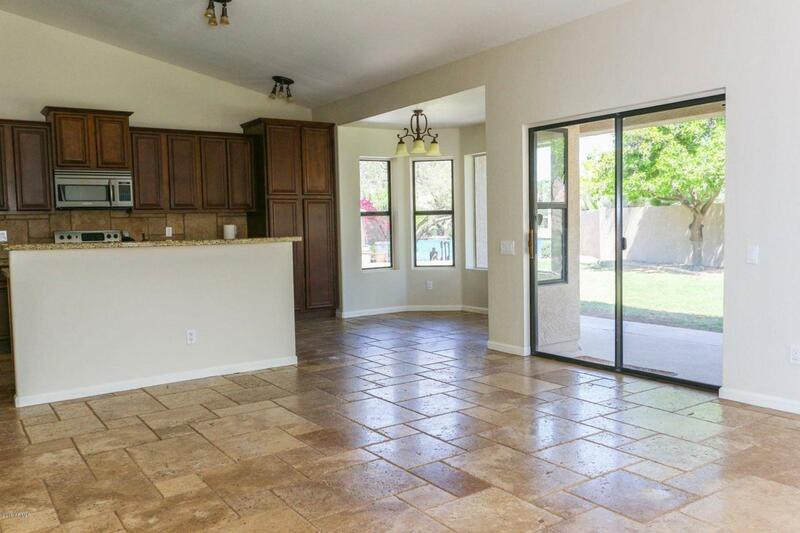 Updated eat-in Kitchen with Lake Views, adjoining the family room with fireplace has a center island breakfast bar, upgraded staggered cabinets, granite counter tops, and more. Soaring ceilings from the entrance foyer welcome you into the Formal Living room with picture window revealing the beautiful Lake. Step from the foyer featuring inlaid stone wall panel, into the Formal Dining room. Invite the inside out for quiet patio dining with sunset views of your dock on the lake.